I was saddened to hear of the recent passing of the actress Betty Driver who, for forty years, portrayed one of the best known barmaids on TV. 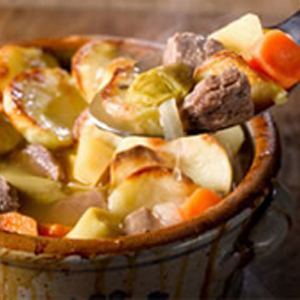 As Betty Turpin from the Rovers Return on Coronation Street, she made a simple North of England lamb stew into an iconic dish that we all associated with her and the show. Betty’s hotpot appeared to be a dietary staple for those who lived and worked on the street. It was a lunchtime favourite with the soap characters and nourished many an angst ridden soul through various torrid storylines. Ironically it turns out that in real life Betty Driver not only considered herself a poor cook but was also a vegetarian! Lancashire Hotpot is basically just another regional stew. Every country and every area has its own take on the one pot dish. As a region the north of England has what we might consider a split personality. Although steeped in agricultural history because of its beautiful natural landscape it also has a huge industrial history. The marriage of these two sectors produced a rich culinary heritage. Traditional dishes of Lancashire were often based on economical ingredients which made for inexpensive but tasty and nutritious dishes that would keep hard working families well fed, particularly during a cold English winter. Like most indigenous stew like dishes, hotpot was inspired out of necessity. It is usually based on a set of guidelines rather than actual ingredients as ‘what was to hand at the time’ was thrown into it. Usually the recipes were handed down from mother to daughter and so how your mother made hotpot was the recipe you ended up with. And so on any given terraced street the hotpot served in number 6 may have tasted quite different to that of number 26. Indeed legend has it that a Lancashire woman’s prowess in hotpot making determined the marriage prospects of their daughters! It’s hard to imagine choosing a wife based on your future mother in law’s ability in the kitchen. It’s hard to trace the origins of individual one pot stews but by all accounts in the 1700s hotpot would have started life as a warm punch and evolved into a meat stew by the middle of the 19th century. Hotpot is and was traditionally made with lamb. No one individual is credited with creating the hotpot and the way the dish has changed over the years it is rather like a train that went into a tunnel painted green and emerged a better and brighter shade of red, but no one is quite sure who painted it or when exactly the change occurred. Our information is mainly based on mentions of hotpot in novels and other historical literature. We are given to believe that the hotpot we know today has its origins in the Lancashire cotton industry. As it is a quick and simple dish to prepare with a long slow cooking time it is believed that female mill workers would prepare it in the morning, place the hotpot in the range oven and so it would cook all day and be ready when they came home. It was also seen as a warming dish for miners. There were plenty of cold, underground pits in Lancashire and workers would wrap it in a blanket to retain the heat and take it down into the mines. In the difficult conditions of a coal pit a break for tasty hotpot was, no doubt, a welcome respite. There are even accounts of the aristocracy being quite partial to a little hotpot. 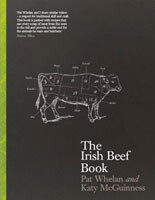 In several books and records we read how the upper classes enjoyed hotpot as a picnic dish for the races. It would be prepared in tall pots and again, wrapped in a blanket and taken with them on a day out. The tall pot was necessary as traditionally it was made from hill sheep that were quite long boned and the chop would stand in the dish. Along with the millworkers, the miners and the aristocracy, the farming community also lays claim to having a hand in the popularity of Lancashire hotpot. It was regarded as a shepherds’ family dish often taken out to the moors with the same principle as the miners. So just for fun rather than giving you any hotpot recipe I thought it only fitting to give you a recipe for Betty’s Hotpot. If it’s good enough for the workers in the knicker factory on Coronation Street surely it is good enough for us. Betty used to make her hotpot in small individual dishes to accommodate the pub portion but you can make it in one large casserole instead. According to Coronation Street experts they say that Betty always suggested it should be served with red cabbage and chips. I was a little surprised at the mention of chips as there are potatoes in the dish itself but who am I to question the experts? Betty Driver, 1920 – 2011. RIP.